It’s great to get the year going with a giveaway, and we’ve got a great CD from Putumayo World Music to give to one lucky reader. 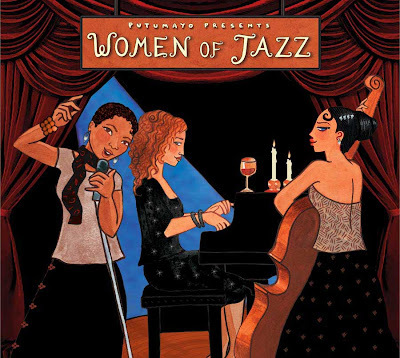 This time around, it’s a brand new release called Women of Jazz, showcasing 10 exceptional female vocalists from North America. Who performs a new version of Billie Holidayâ€™s â€œLover Manâ€ on this album? Click here to send us an email with the answer, as well as your name and postal address.